When Is Acid Free Framing Not A Must? I have recently pulled out my stash of unframed cross stitch and punchneedle pieces. It occurred to me, that antiquing the cloth regardless of the method, the ph stability of the needlework has changed forever. Keeping this in mind, you will want to still conserve the art work the best you can. If at all possible, avoid putting the needlework under glass. For those of you who like to extremely antique your primitive stitchery, you can use the sticky board to mount your needlework. Since the Extreme Primitive look is what you are after, the sticky mounting board and glass will only add to the look over time. Since I am not quite sure what ingredients are in the product call Distress It, I would use it on pieces of needlework you would not mind if they are not conservation framed. What a great product for some of the DMC threads that may be too bright for your taste. Go ahead and cross stitch or punchneedle your pattern with the thread you are going to distress. Spray a good amount of Distress It to saturate the threads on the cloth and let dry. If you want it darker, repeat until you get the look you want. Labels: When is Acid Free Framing Not a Must? I realize how costly framing can be, but keep in mind that the item you are working on is in progress of becoming a family heirloom. Great Care should be given to any piece of needlework. 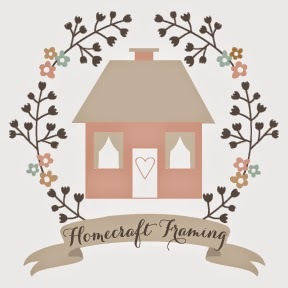 In the event custom framing is impossible, here are a few tips to keep in mind. Never use any spray adhesives regardless of what others may have done. The damage is not always noticeable right away but in short time it will be. Stretching is always the best method and on acid free foam core or rag mat. If you are a do it yourselfer, there are places like Michaels Arts and Crafts where you may purchase these items. For those of you who feel this is still too expensive, then I recommend using Presson Board. Although, I would advise not using glass to cover your work. This next tip may add a little extra life to your needlework if; every year you take apart your needlework, remove it from the Presson Board, and wash it in Woolite. It would not hurt to take the sweeper attachment and run it lightly over your needlework when you sweep. Never hang any artwork over heat sources, such as fireplaces, heat and air vents. Avoid hanging valuable pieces of art on outside walls. These walls are where the temperature and humidity fluctuates causing condensation. Keeping that in mind, Kitchens and Bathrooms are rooms where the temperature and humidity fluctuates greatly. This in turn can cause paper art to wrinkle and needlework to get moldy. This next tip is a killer to many decorators. Once you paint or wall paper, do not hang any art work for at least two weeks. Although, your walls may be dry to touch, drywall and plaster holds in moisture that is not noticeable. Avoid hanging art in direct sunlight or direct ultra violet sources, such as, fluorescent lighting. Never spray cleaner directly on glass, spray the towel then clean the glass. The cleaner can run down under the glass into the rabbet where your artwork lives and destroy it. Check your book collection once a year for insects, they do not know the difference between a book and valuable work of art. To them, paper is paper. Smoking does not do anyone any good and it reeks havoc on art work. If you cannot kick the habit, then kick the smoker outside. Your art work will love you for it. According to Larson Juhl Framing School, the average height to hang most art is 5’ 7". When having important art pieces framed, ask about conservation framing. It insures the item framed will be protected from acid which will yellow and eventually destroy the art work. Something to keep in mind if you do have something conservation framed. If you do not follow the above tips, you are also wasting your money, and the piece of art you just had framed. Some of you are thinking, where can I hang anything? On the walls that have vents, outside walls, kitchen or bath, this is where you hang the pictures you purchased from your favorite Mart store. Lean your shoulder to the wall, or the fireplace. Now with a sideways glance, look at the picture you had hanging there for years. Can you see the wrinkles? Something to remember, if you took the time and care to create a work of art, then you will want to treat it like, a work of art.